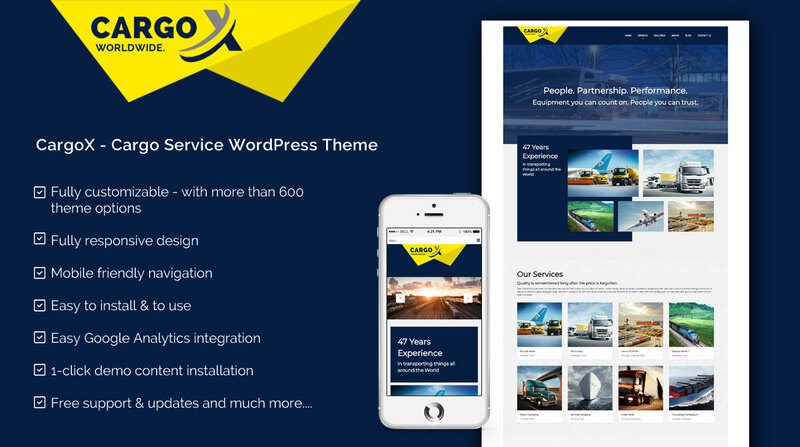 Cargox is a modern, easy to install and to use WordPress theme for cargo companies and similar. It comes with countless features: shortcodes, galleries, theme options, web fonts, and so much more. Cargox is 100% responsive and looks great on all devices. This theme comes with free support and free updates. Please contact our support team if you need help or if you have questions.